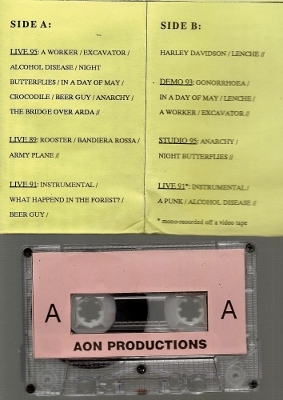 "It was the Maria Luisa pub in Plovdiv, where i met Petko, the vocalist for Kokosha Glava and it took only 2-3 weeks to arrange releasing this tape, that is surely one of the Bulgarian punk rock cornerstones! Believe it or not, they started in 1988 in a small town near the Turkish border and they still play! The material inside is raw demo or live recordings off various concerts and there is even a rare studio session. Punk, punk and PUNK! and nothing else. They appeared on countless compilations worldwide and they are still eager to play live, if you invite them..."
The first 3 live sets from '95, '89, and '91 are decent enough quality to introduce you to KOKOSHA GLAVA's primitive and tuneful UK inspired punk. The '93 demo is a much sharper sample, but employs clean guitars, giving it a unique quality. The two tracks from the '95 studio recording are really bizarre - not so much because of the drum machine, but the instrumentation, which is composed with keyboard guitar presets. Have you ever heard the "guitar" setting on those old Casio keyboards? Totally weird. The closing live set from '91 is certainly the noisest and hardest to listen to, though the amount of crowd enthusiasm makes it more fun, and you can still always hear all the instruments. 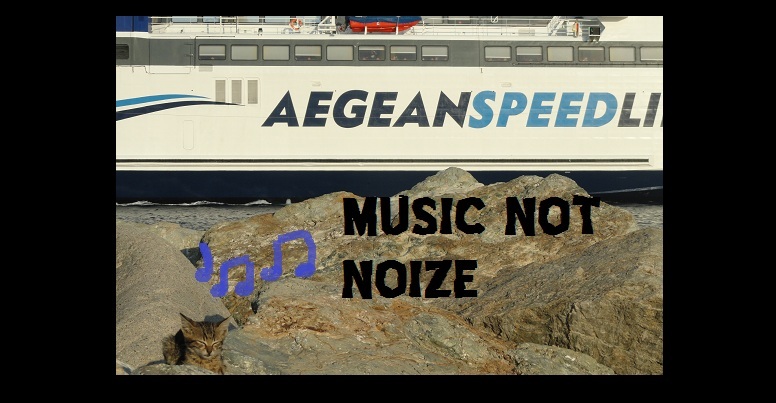 For those who don't understand Bulgarian, I made any in-between song banter over 30 seconds it's own track. New link uploaded - old one became inactive!